Cheri joined our team in 2006 and has brought a wealth of experience with her. She grew up in the East Bay and has a BS in Exercise Physiology from Chico State. After graduating she obtained her PTA license and has since worked in a variety of physical therapy settings over the last 20 years. Her physical therapy interests include manual therapies such as Myofascial Release, Muscle Energy, and joint mobilization. This makes her particularly good at treating spinal conditions. 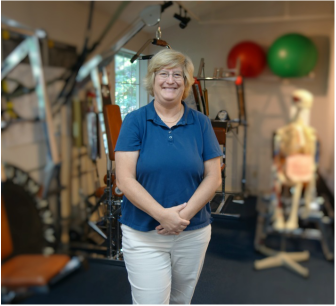 She also specializes in balance training for both sports related rehab and geriatric conditions. She spends her free time with her son who is very active in sports.